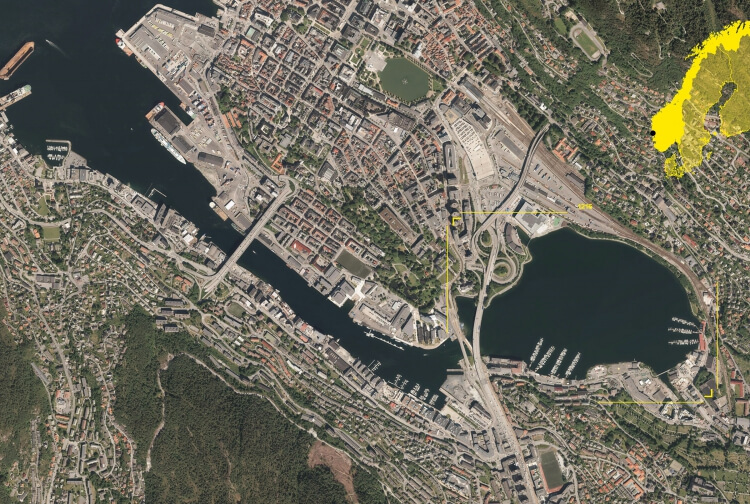 The project Scenarios 2029 examines the future development in the Southwest region in four urban regions: Bergen, Haugesund, Stavanger and Kristiansand. The project looks at how it will be to inhabit, work, grow up and live in the regions in 2029. Cities and urban areas today undergo major changes and over half the world’s population live in cities. These changes have different causes related to a complex interplay of desire, interests and management in residential, business or political circles. As a consequence a lot of pressure lays on the housing market and rising house prices in all major cities is a fact. A pressure that is expected to increase in the future. Bergen, Haugesund, Stavanger and Kristiansand has many local variations and unique qualities. At the same time they share the same challenges and tendencies. The strategy that has been followed develops three housing typologies based on three area types that are common to the four cities: city centre, transform and sub urban.